All accommodations are Smoke Free. Check In Time: 4:00 p.m. Check Out time: 10:00 a.m.
*Early Check-In – Late Check-Out? Inquire the night before Arrival/Departure. Late checkouts without approval are subject to additional fees. A 50% Deposit is required on all reservations to confirm. Cancellation Policy: Deposit is nonrefundable unless accommodation can be re-rented for the entire length of your reservation. Refunds are subject to a $25 handling charge. More than one cancellation or change to reservation dates will result in forfeiture of deposit. 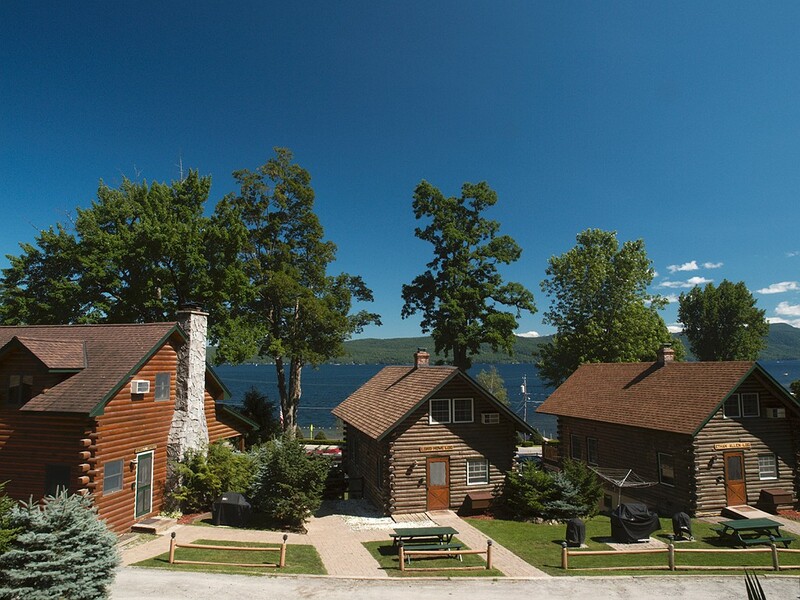 During the Summer Season (July and August), all Cabins and Cottages are rented on a weekly basis only. If available, the daily summer rate is the prorated weekly rate. *A 3 night minimum stay is required in Iroquois, Eagles Nest, Hill House, Lord Howe Log, and Seneca Retreat. *A 3 night minimum Prime Rate Applies: Memorial, Labor and Columbus holiday weekends. All JUNE weekends. *A 3 night minimum Off-Season Rate Applies: All SEPTEMBER weekends and President’s Day weekend in February. *A 3 night minimum is required for Summer Motel reservations. **Exceptions may be considered on “short notice” reservations. **Management reserves the right to require a three night minimum for reservations during heavily booked time periods. Occupancy: Cabin & Cottage Rate is based on 4 guests. Lodge and Motel Room Rate based on 2 guests. Any additions to occupancy levels must be approved prior to your arrival. Extra guest fee is $25/guest/day. Pet requests may be considered September – June on an invitation basis only. Reservations for your pet must be made prior to arrival. Pet Fee is $25/pet/day, 7% sale tax applies. Pets are not permitted in the Country Inn or Motel Rooms. Pets are not permitted during summer weekly booking periods – Sorry No Exceptions. Daily maid service is provided. A 3-5% gratuity is recommended for quality service. A 5% Gratuity will be charged for all Country Inn reservations, Wedding weekend guests, Corporate bookings, Special Events and Reunion guest reservations. A Cleaning Fee will be charged to accommodations left in poor condition. 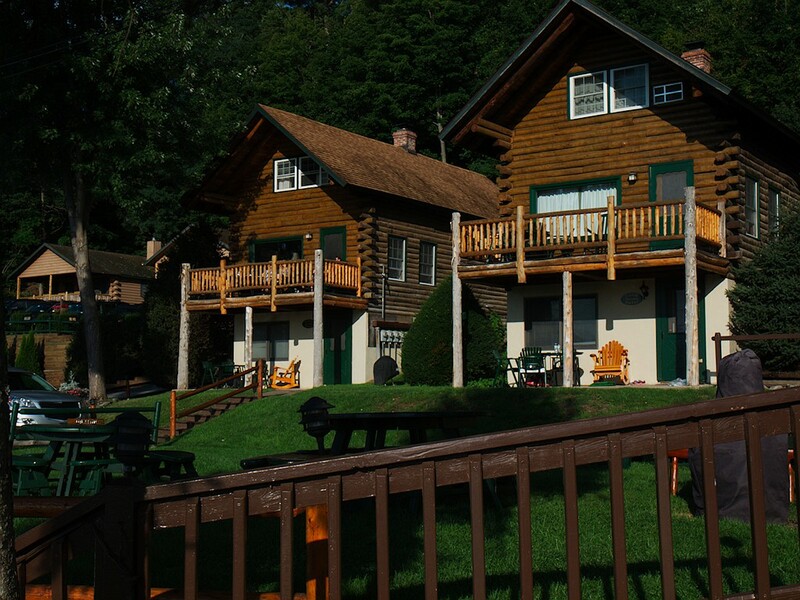 Cabins are furnished with a full kitchen, linens, towels, hairdryer, iron, flat screen Direct TV, DVD, WIFI and telephone. Kitchens are equipped with a gas range, refrigerator, microwave, toaster, coffee maker, blender, pots, pans, dinnerware, glassware, silverware and utensils. Paper towels are not provided. Dock Space – $25/day. Boat Beaching – $10/day. Free Off Season. A Coin Operated Washer and Dryer is located on premises. Complimentary Cribs, High Chairs and Aerobeds available. Please reserve prior to arrival. Thank you! Fireplaces are not available for use during the summer. A $100 non-refundable deposit is required for advanced reservations. A $500 non-refundable deposit is required for advanced Country Inn reservations. Upon arrival, deposit is applied to the last day of your stay. Personal Checks are not accepted for balance due on arrival. No “Credits For Lodging” are accepted during the summer or holidays. New York State Sales Tax, 7%. Warren County Occupancy Tax, 4%.